STEP 2 Open the Default Rates settings. 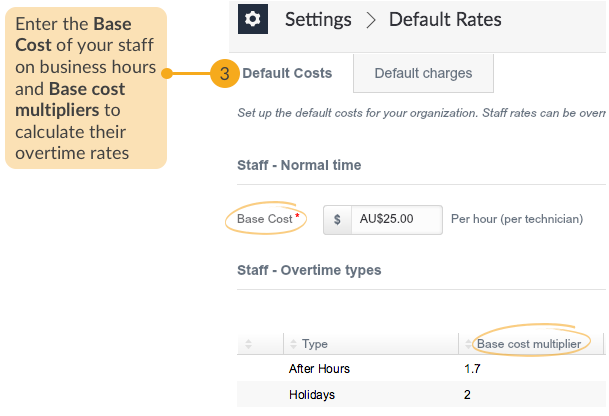 STEP 3 Define the base cost of your workforce to be calculated per hour basis for each staff, on regular business hours or overtimes/holidays. The operating hours will be determined from the timings that were provided under Region -> Business hours in Settings -> Company. NOTE: Other costs such as those involved in completing tasks must be defined in the respective task template located at Libraries ->Task Template, and similarly, costs for materials or parts of your company's Inventory must be specified in Libraries -> Inventory. The Libraries are available only to Pro, Pro+ and Unlimited editions. 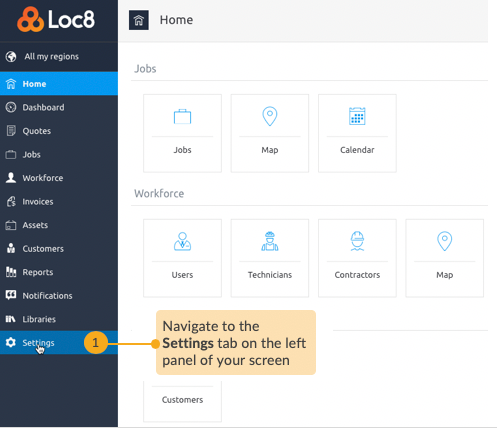 Any other costs can be directly filled up when completing jobs in the Job inspector under Work logs -> Expenses. 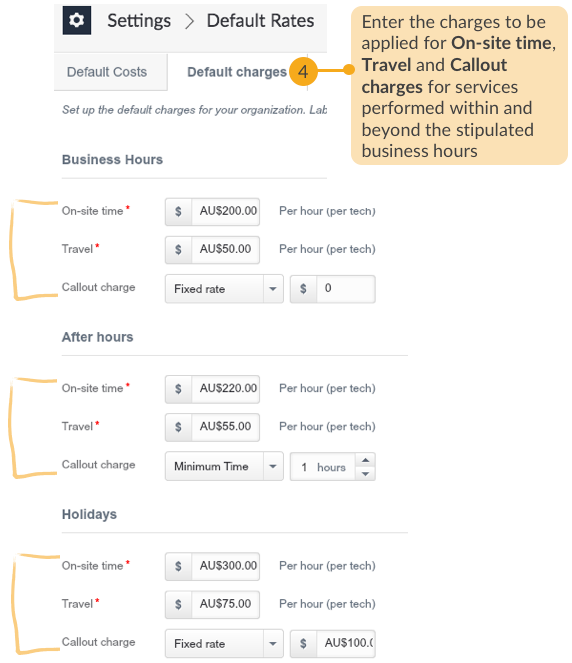 STEP 4 Define the base charges billable to customers for your team's hours and services. The charges are a combination of on-site and travel time during business hours, and fixed rate or minimum time callout charges for after-hour services.